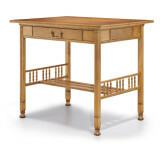 Consistent with the design standards and craftsmanship of its namesake, Associated Artists, LLC, is a gallery featuring the most significant American furniture and decorative arts of the late Nineteenth Century. 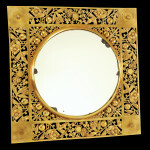 Pieces by Herter, Pabst, and Tiffany exhibiting extraordinary carving, gilding, and inlay of fine woods--many with important provenance--may be seen by appointment in Southbury, Connecticut, one hour north of New York City. Associated Artists LLC-Winter Antiques Show 2015 from Antiques and The Arts Weekly on Vimeo. One of a Pair of Ruppert Maple Side Chairs, Herter Bros.